The Federation of British Historic Vehicle Clubs Limited (‘FBHVC’) is committed to protecting your data privacy. This Policy explains how we protect and manage any personal data* you share with us and that we hold about you, including how we collect, process, protect and share that data. It also explains how you can control your data and your rights generally as a data subject, and our procedure in respect of cookies. *Personal data means any information that may be used to identify an individual, including, but not limited to, a first and last name, a home or other physical address, an email address or other contact information (whether at work or at home). • the processing is necessary for the purposes of our legitimate interests. The FBHVC may collect and record basic data (for example names, email addresses, postal addresses, telephone numbers) which you voluntarily provide via hardcopy, or email, or in writing. Subject to your specific cookie consent (see below) the FBHVC may also collect data pertaining to users of our website, including IP addresses, source domain names, specific web pages, and pages that have been accessed. We record this information in a computer database and use this information in order to manage and administer your membership whilst you remain a member of the FBHVC. We control data in respect of our directors, secretary, volunteers, members, supporters and donors. 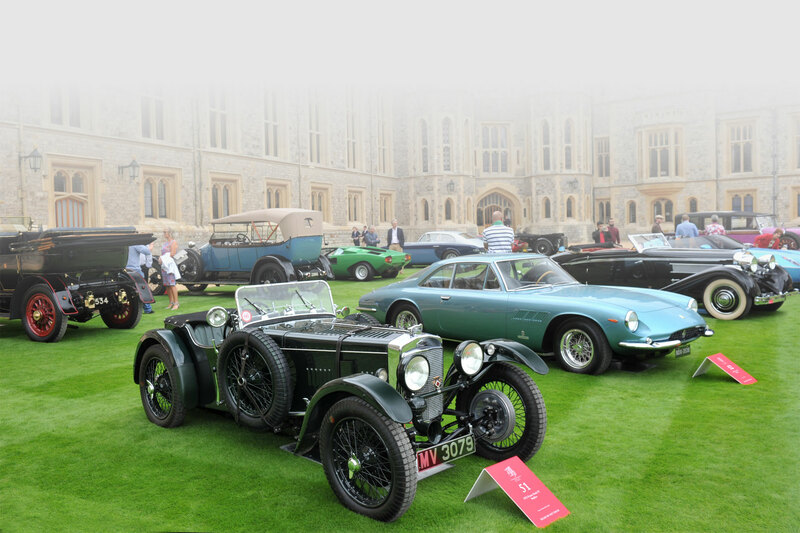 Also, we control data in respect of people who buy services from us (those services principally being administering applications and renewals to become or continue being a member or supporter of The Federation of British Historic Vehicle Clubs, this includes administering tickets for our AGM and conferences), and the production of FIVA Identity Cards. • deal with any financial queries. By applying to become a member or supporter or renewing your subscription you will automatically agree to receiving marketing offers in the form of our bi-monthly newsletter FBHVC News via hard and soft copy. Your details will not be passed to any third parties other than a printing and distribution company in order to provide you with this service. If you request the production of a FIVA Identity Card your details will be passed to an external resource in order to provide this service. The FBHVC uses personal data which we collect to provide you with services which you request or to improve our existing services. We use personal data to contact our members with details of events, and AGM details (in respect of voting members). When you contact the FBHVC, we may keep a record of your communication to help solve any issues that you might be facing. Your data may be retained for a reasonable time and in line with our record retention procedures (financial records for six years and FIVA Identity Cards for ten years) for use in any future contact with you, or for future improvements to the Federation’s services. The FBHVC may also use or disclose your personal data when the FBHVC believes, in good faith, that such use or disclosure is necessary to comply with law, or to protect the rights, property or safety of the FBHVC, or of the FBHVC’s users, or others. • the right via a subject access request to know whether or not we are processing your personal data, the nature of that personal data and the purposes of the processing. Should you seek to exercise any of the above rights, please use the contact details set out in the questions & queries section below. **Please note that we cannot delete your information where we are required to have it by law, or where it is in printed format, such as past copies of the newsletter or similar publications and already in the public domain. Where data has been shared we shall communicate any rectification or erasure of personal data or restriction of processing as described above to each recipient to whom the personal data has been disclosed. A cookie is a small text file stored alongside your internet browser on your computer or smartphone. It enables us to recognise your computer when you visit the website. The tool is used by many websites to help collect information, such as how many people visit and return to the website, what products or services are being accessed, to make certain parts of the Site function properly and for the purposes of website and system administration. If you have disabled the cookies file in your browser, you may experience technical issues with some parts of the website. In order to provide the highest level of membership service and support, we need to keep accurate personal data. Please keep us informed of any changes to your personal information. When you participate in various social media forums like Facebook, you should be familiar with and understand the tools provided by those sites that allow you to make choices about how you share the personal data in your social media profile(s). Also, depending on the choices you have made regarding your settings on various social media sites (and/or in combination with your settings on the FBHVC Website Pages), certain personal data may be shared with us about your online activities and social media profiles (e.g. interests, marital status, gender, user name, photo, comments and content you have posted/shared etc.). During your online journey across our website, you may encounter links to other websites such as our Commercial Partners for your convenience and information. These websites may operate independently from the FBHVC, and may have their own privacy notices, statements or policies. We strongly suggest that you review them to understand how your personal data may be processed in connection with those sites, as we are not responsible for the content of non-FBHVC-owned or -managed sites, or the use or privacy practices of those sites. Questions & queries, who to contact? If you have a complaint regarding the use of your personal data then please contact us.